Honestly, my MUST-HAVES for my beauty routine! How I use these babies!!! 5 Sephora Beauty Gift Sets You MUST Know About! Without Sephora, makeup lovers wouldn't know what to do! Sephora is the #1 Go-To for all things beauty AND Gifts! These adorable gift sets just made your holiday shopping that much easier! 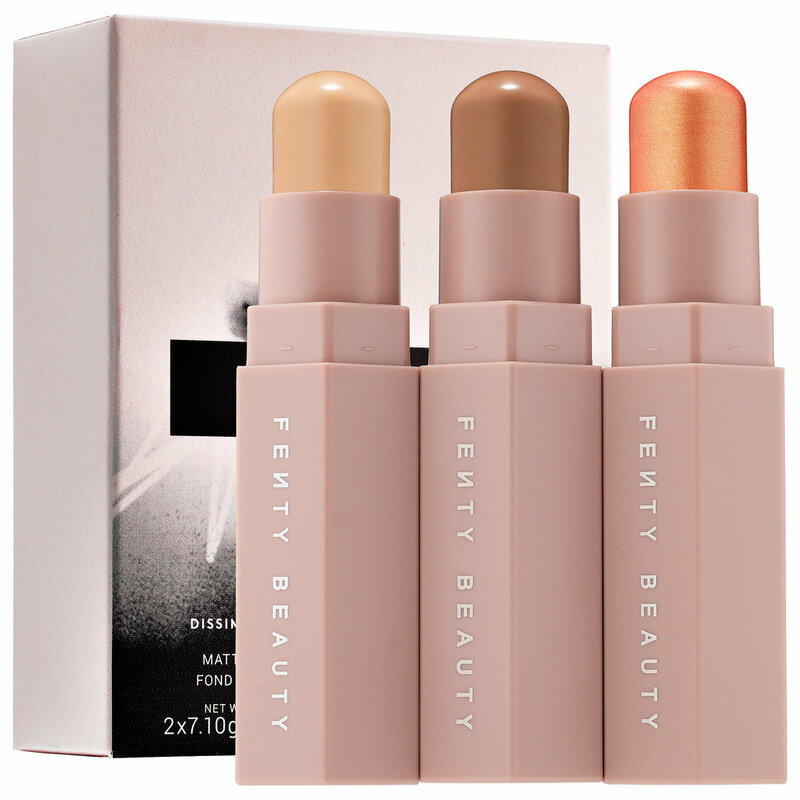 Get this gorgeous trio for the glamour girl who wants the ability to Conceal, Contour, Highlight, REPEAT on the go! This makes the perfect Stocking Stuffer! From neutral beige to bold red, there's a color for every occasion! Best part: It's ON SALE!!! This has to be the SET of all Gift Sets! Although pricey, it's well worth it due to the fact that you're giving someone the BEST dryer on the market, and a whole set of Ouai! This lucky lady will forever have gorgeous tresses! Now we can't forget about skincare, as It's the most important beauty step! This set contains the beauty favs: Supermud Clearing Treatment, Youthmud Tinglexfoliate Treatment, Gravitymud Firming Treatment, and Thirstymud Hydrating Treatment. It wouldn't be a 'Sephora Beauty Gift Sets List' without some SEPHORA FAVORITES! This set contains some of Sephora's hottest highlighter picks that'll have her glowing for days! What gift sets are you picking up this holiday season!? Ever wanted a simple skincare routine that gets you in and out real quick? Well, you've found it!